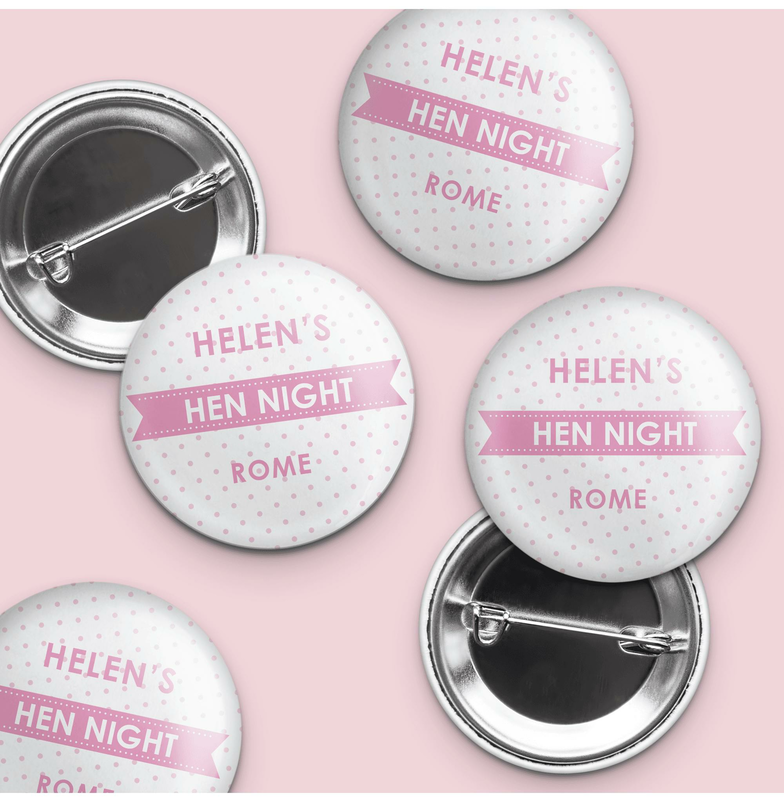 Use these personalised hen party badges as your symbol of duty on your hen night! These little stamps of alliance will really show people that you are on a hen party and you all belong together! Your aim is to have lots of fun and to enjoy your night and surroundings no matter what. You won't stop until your "bride to be" knows that she's having a wild night! Such a quick turn-around time, was made and delivered in less than 24 hours. Highly recommended. Such a pleasure to do.